You now have one more shopping avenue for earning Alaska Airlines Mileage Plan miles and its a pretty big one: Groupon. 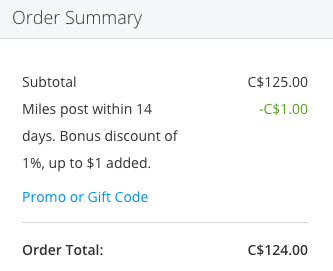 When Groupon approached us last fall via email and then at a conference to discuss the topic of issuing miles for purchases we of course told them yes, yes you should! We discussed more than this of course but for our readers you really just care about being able to earn the miles. Now about 7 months later they have their first partner and it is one we all love, Alaska Airlines Mileage Plan! I know you'll say I've already been earning Mileage Plan miles with Groupon via Alaska Airlines Mileage Plan shopping (their online shopping portal) but now you can earn more with this direct partnership. The earn rates are great with the direct partnership. New Groupon customers will receive 500 miles on their first eligible purchase of over $30 while existing customers will earn 4 miles/dollar on eligible Groupon purchases. That's right 4 miles per dollar! That is a really good earn rate, especially if buying a large ticket getaway! Compare this to 3 miles per dollar via the Mileage Plan online shopping mall and you can see why you want to go direct.